UPDATED: Tue., Oct. 24, 2017, 9:17 p.m. Calm and collected, Donovan Culps told Superior Court Judge Annette Plese in court Tuesday that he was guilty of murdering Cameron Smith. “Guilty,” he said quickly from a TV monitor broadcasting him from the Spokane County Jail.. But rather than accept that as an official plea, Plese walked Culps, 35, back from making a rash decision. His assigned attorney, public defender Jay Ames, apparently was out sick Tuesday, so the woman filling in for Ames asked Plese to change the plea to not-guilty. “OK, so we’ll enter a not guilty plea on county one,” Plese said, referring to the charge of first-degree premeditated murder. 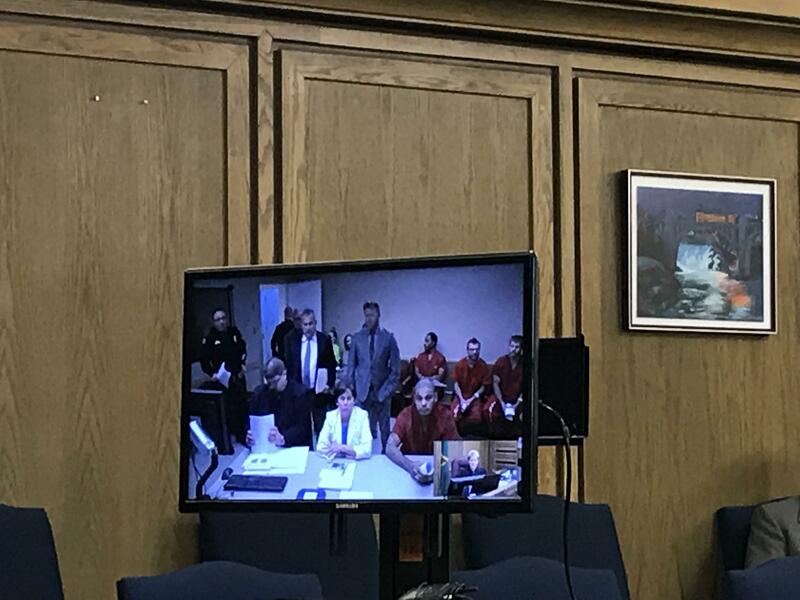 Culps pleaded not guilty on the other counts as well, which includes first-degree kidnapping, robbery and unlawful possession of a firearm. Culps is suspected of kidnapping and murdering Smith, an employee of Lucid Marijuana in Cheney, and dumping his body in Airway Heights on Sept. 10. He was captured in the area of Goldendale, Washington on Sept. 14 and was soon after transported to the Spokane County Jail, where he remains on a $1 million bond. In TV news interviews with KHQ, he admitted to killing other people in the past. On Friday, the FBI confirmed they were investigating the human remains of a man found in Medicine Valley of the Yakama Indian Reservation. Culps told police he killed him, according to court documents. He has not been charged in connection with that finding. Plese told Culps in court Tuesday he could change his plea to guilty as early as next week if he still wished. Published: Oct. 24, 2017, 9:16 p.m. Updated: Oct. 24, 2017, 9:17 p.m.